Foot and callus file in podopro patient designed packaging ready to retail to your patients. 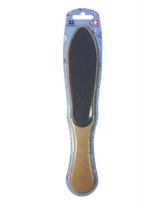 The Pediwand Plus is a replacement for the wooden foot file. Very effective with its double sided rough surface and smooth plastic coated handle, you can file down with accuracy and control. 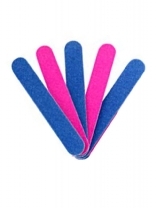 Double sided abrasive coated pedicure file for callused skin. 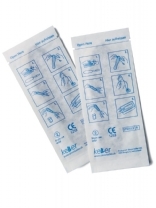 Antibacterial (sanitised) & waterproof. 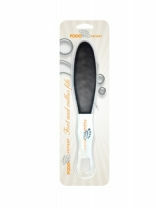 Designed as the classic Swiss beech wood lacquered foot file. 27 cm length. 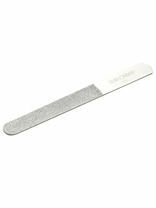 Pedicure file with sterile, single packed abrasives for professional use. Autoclavable. 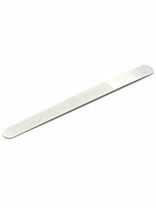 Swiss File, sterilisable stainless steel file, without abrasives, single packed. Abrasives, available in 60 grain, 100 grain & 220 grain, self-adhesive, single packed, sterile, package of 80 pcs per box. 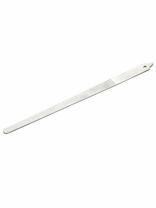 Diamon Deb nail and foot dressers, Pediwands and Foot files.